There are only two types of tourists. Bad tourists, and really bad tourists. a coffee because I refused to get one from Starbucks. I went back in the afternoon – they have free wifi!! 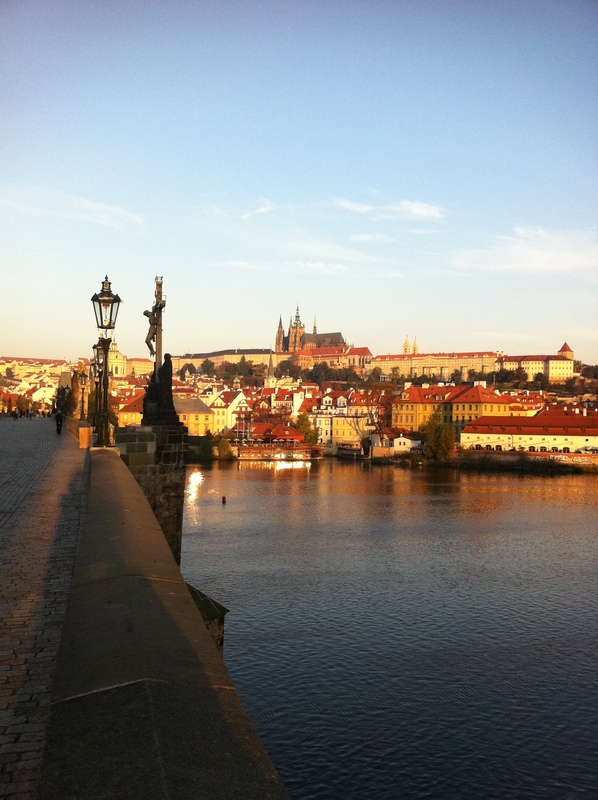 loitered my way up towards Prague Castle in search of a non-commercial coffee. in my hat at the start to get the ball rolling. little dignity I had left. amazing 500 year old building. Everybody looks like a supermodel and everybody shouts when they talk. Then how do you know what I said. considering it could have just been a cover for flogging pencils and postcards. know what the application was, but it was pretty cool. supplied a charming tiger print throw and half a pillow so it looks like it’s sleepy time. Ps. Small stain on mattress may in fact be wee, but I’m not game to smell it. Pps.I’m so babeled out right now. I’m totally crushing on the English language. Next Next post: vodka for everyvun! !